Party rentals can make or break an event, and it always pays to have more fun entertainment at an event than not enough. In a digital age, technological entertainment captures and maintains the attention of the masses easily. One of the more exciting and popular forms of digital entertainment arose with the invention of the karaoke machine. It might seem almost too simple, but for the past several decades karaoke machines have remained one of the main, must-have party rentals in the event business. Karaoke machines withstand the test of time at parties because they combine a fun activity with entertainment and group participation. We all have that one song that we know all the lyrics to, and of course we all believe that we are natural-born singers; when singing karaoke, you can put that to the test. Choosing from a wide selection of today’s most popular songs and yesterday’s hits, there’s always a track that fits everyone’s individual style. Karaoke rentals engage the audience and get everyone singing along together, making the overall environment of the event warmer and more electrifying. Beyond excitement and entertainment, karaoke machines offer a wealth of other benefits for any size event or group of people. Karaoke rentals are great for parties with people of all ages. Any party fanatic, younger or wiser, can appreciate the adrenaline and excitement of singing live in front of a group of people. As is commonly known, public speaking is perhaps the most-feared and anxiety-provoking experience for many Americans. Kids and adults alike can benefit from the public appearance practice karaoke machines allow us to have in a fun and entertaining atmosphere. At this party, the pressure’s off! Another benefit for karaoke participants of all ages, it can be a great confidence booster for the shy kid in town. Allow that hidden talent to shine, and hit those high notes that’ll wow the audience. Sing a duet or a group number that can take some of the pressure off, or bust out a power ballad that will knock the socks off of your audience. Karaoke can be a real confidence booster, and even bring out some natural singing ability you didn’t know you had. Karaoke has revealed many unknown family singers over the past few decades—now you can be one of them. Karaoke is a great chance for people to simply let go and have some fun. Karaoke can help with loosening inhibitions and stepping outside comfort zones, or it can reaffirm your assertion that you’re the best singer in your family. Whether you turn it into a competition or a romantic serenade, karaoke adds another level of fun and entertainment. Perfect for weddings, birthday parties and corporate events, karaoke can add a special social element to any occasion. You don’t have to be the best singer in the world, just enjoy the moment and let loose! At Creative Event Services, karaoke machines are one of our top rentals for a wide range of occasions. 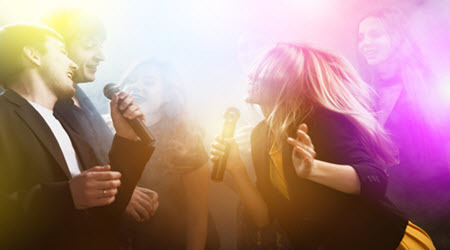 Karaoke brings a nostalgic touch to any party, especially holiday parties. They are also perfect for corporate events that can sometimes be dry or awkward; a karaoke rental can lighten the mood and help the team bond together. 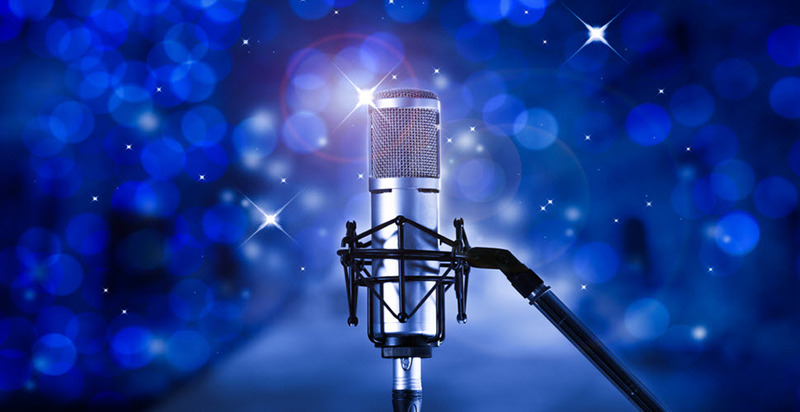 The expert event-planners here at Creative Event Services arrange for your karaoke rental to be set up by one of our professional team members, and we can even staff an employee to help run the machine throughout the event to make things go as smooth as possible. If you need assistance planning your event in the areas near Boston, Hartford, or New York, contact us for more information about our services and how we can help make your event stand out.